China's Xi Strikes Nationalistic Tone in Parliament Address - Integration Through Media ....! 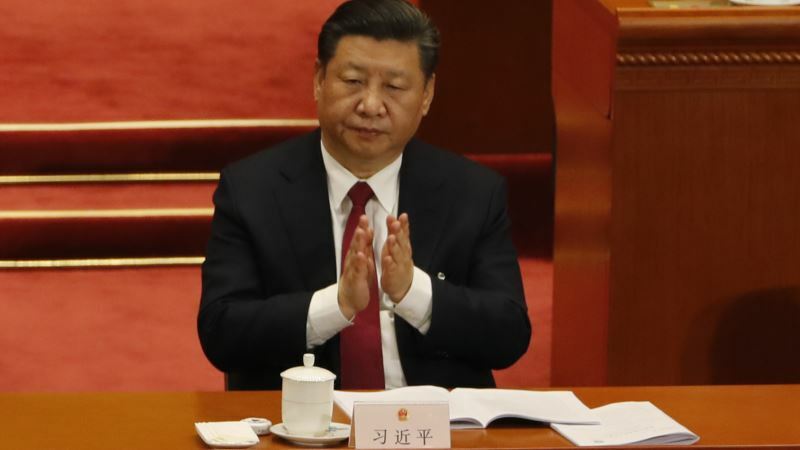 (VOA): Chinese President Xi Jinping struck a strongly nationalistic tone in his closing address Tuesday to the annual session of the ceremonial parliament, saying China would never allow “one inch'' of territory to be separated from it. “Maintaining national sovereignty, territorial integrity and complete unification of the motherland is the common aspiration of all Chinese,'' Xi said. The Chinese people have the will and ability to “foil all activities to divide the nation'' and are united in their belief that “every inch of our great motherland absolutely cannot and absolutely will not be separated from China,'' Xi said. Referring to self-governing Taiwan, Xi said the mainland would continue outreach to advance the cause of “peaceful unification'' with the island, whose 23 million residents are strongly in favor of maintaining their de-facto independent status. The session had earlier approved a range of new appointments, including that of key Xi ally Wang Qishan as vice president. New ministers were also appointed and a law passed establishing a powerful new anti-corruption body to oversee the civil service. Xi also invoked China's historical achievements in governance and culture and stressed the importance of national unity as it strove to reach new goals in poverty alleviation and economic development in coming years. He stressed the absolute leadership of the ruling Communist Party – of which he is head – in all aspects of Chinese life, including over the 2 million-member armed forces. Xi pledged to expand the Belt and Road, his signature foreign policy initiative of building ports, bridges and railways connecting Europe with Asia – but in an apparent response to the project's critics, said China wasn't seeking hegemony. “China's development does not pose a threat to any country,'' he said. “Only those who habitually threaten others will look at everyone else as threats,'' Xi added. This year's session has been dominated by the rubber-stamp body's historic move on March 11 to scrap a constitutional two-term limit on the presidency dating from 1982, enabling Xi, already China's most powerful leader in decades, to rule indefinitely. While delegates overwhelmingly supported the move, critics and some analysts say it raises concerns about a return to one-man-rule – and greater political repression within an already highly controlled polity. “There is a distinct danger now that there may well be a return to the Maoist style of leadership symbolized by the dissolution of collective responsibility and the concentration of power under one person,'' said Joseph Cheng, a long-time observer of Chinese politics now retired from the City University of Hong Kong. The broad strokes of what Xi plans to do with these expanded powers were laid down over the weekend as he moved to appoint his trusted allies into key positions that appear, in part, set to further sideline Li, officially China's No. 2 leader. One of them is Wang, reportedly an early acquaintance of Xi's and former anti-corruption czar who is expected to play a key role in managing trade tensions with the United States. The vice presidency is normally a ceremonial post but Wang's real standing can be seen in official events in which he is seated in eighth place in hierarchical order after the seven-man, all-powerful Politburo Standing Committee. Another is longtime Xi adviser Liu He, who was appointed as one of four vice premiers and is expected to oversee a broad range of economic and financial issues. Chief among Xi's priorities is controlling financial risk without derailing the economy. Regulators have been warning about ballooning debt that caused international ratings agencies to cut China's credit rating last year.